We have 6 current running projects. Our first project is an NSF graduate fellowship in collaboration with Prof. Jeff Feder at the U. Notre Dame (US) to examine the chemosensory basis for speciation in Rhagoletis. This is coupled with a separate project funded, in part, by Microsoft Research, employing virtual reality to uncover the decision making process of host location in this group. 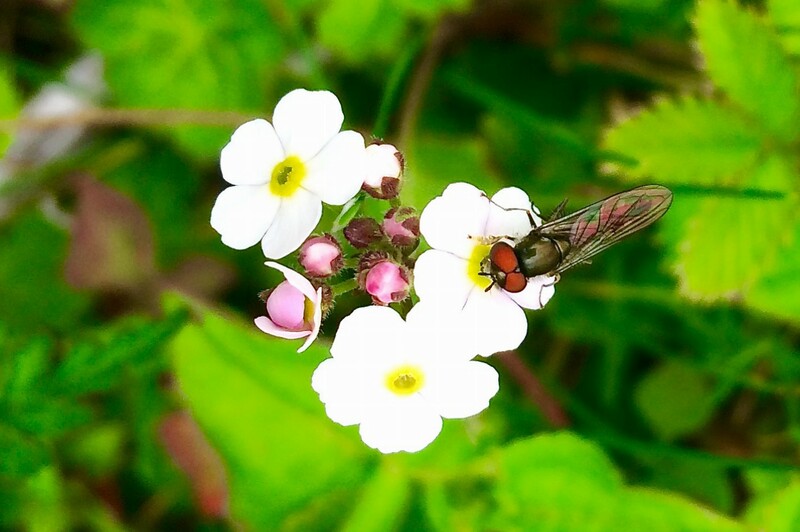 Our second project funded by the Tata Trusts uses combined lab and field techniques to assess the effect of air pollution on beneficial insects, such as pollinators. Third, a project funded by the Olle Engqvist Foundation in collaboration with Dr. Karin Nordström at the U. Uppsala (Sweden) and Flinders University (Australia) explores the chemo-visual ecology of alternative pollinators to combat the worldwide decline in bee populations. Fourth, as part of a multi institutional program funded by the DBT to build capacity for chemical ecology in the Northeast region of India, we are working with Dr. Y Rajashekar at IBSD Imphal, Manipur to uncover the mode of action and ecological and evolutionary constraints for plant-derived insect repellants and fumigants with broad-scale effects. We are also working with Dr. Zavei Heise at NASTEC Kohima, to study the ecology of the edible oak borer larvae. Fifth, in collaboration with Dr. Vinothkumar and Prof. Sowdhamini at NCBS, we are working to unravel the structure-function relationships of the insect olfactory receptor complex. Finally, in a project formerly with the Coffee Board of India, we are trying to understand the ethology and ecology of the native Coffee White Stem Borer pest here in India in hopes of offering information that might lead to it’s ecological control. I understand the excitement of the group Good luck. Is the laboratory open for short term internshp ? Hello, Yes we do have interns subject to interest and availability. Email us at info@nice.ncbs.res.in for more information! Can final year b.tech students apply for projects for a duration of 2-3 months? Of course! However, please note that our lab internships are full this year (2016). Whom do i contact for procedural and project details? Thanks!